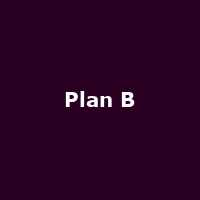 Plan B is an English grime-pop rapper/ singer from Forest Gate, London (aka Ben Drew). His 2006 debut album 'Who Needs Actions When You Got Words' reached the top 30 - however, his second 'The Defamation of Strickland Banks' proved to be a far bigger success, reaching number 1 in 2010. The album and film "Ill Manors" appeared in 2012 - One of the 2012 Mercury Music Prize nominations. Third album, "Heaven Before All Hell Breaks Loose" was released in 2018. He has also acted in the films 'Kidulthood' and 'Harry Brown'. Sun 25th Aug 2019 Victorious Festival, New Order, Clean Bandit, Plan B, The Va...Southsea Seafront (Southsea)More Info..